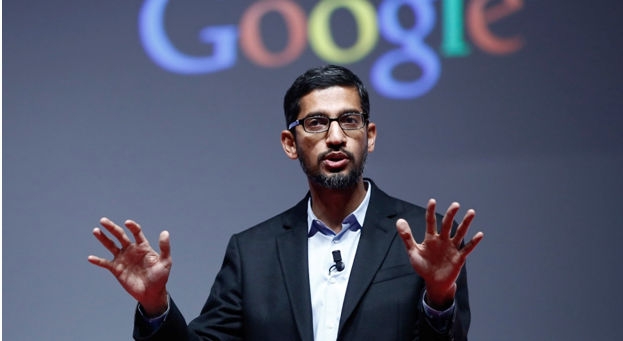 Pichai Sundararajan, better known as Sundar Pichai, is the CEO of one of the most valuable brands in the world. Pichai is a humble technocrat who joined Google in 2004 and became its CEO in 11 years. While trying to convince a friend to not work for Google, he realized that going to Google was the right decision for him. Beyond the buzz around Pichai’s meteoric rise in Google, there is a lot more to his story, especially his life before joining Google. Pichai’s father saved for three years to buy their first scooter, and sacrificed a lot more to ensure that Pichai and his brother got the best education they could. The brothers used to sleep in the bedroom which was also their living room. The family used to take the bus or their scooter to travel across town. His father was an electrical engineer and his mother was a stenographer. 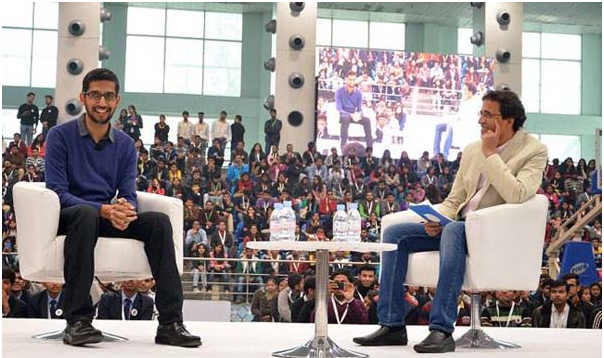 Pichai used to listen to his father about the challenges at his work as an electrical engineer, and that eventually got him curious about technology. At the age of 12, he developed an aptitude for numbers when his family bought a telephone. He could remember every number dialled during the day. 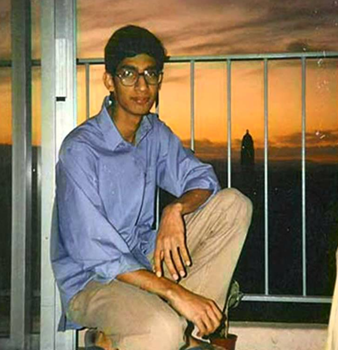 Pichai excelled at school, and was also the captain of the cricket team in high school. He pursued his B.Tech in Metallurgical Engineering from IIT Kharagpur, and then won a scholarship to study material sciences and semiconductor physics from Stanford University. Much of the money that Pichai’s parents had in savings was used to buy his air tickets to Stanford. His degree in material sciences and semiconductor physics, would later on be of groundbreaking use to the developments at Google. In 1997, he dropped the idea of pursuing an an academic career, and decided to drop out of his PhD at Stanford. He then joined Applied Materials, a semiconductor maker in Silicon Valley, as an Engineer and Product Manager, and soon went to pursue his MBA at the Wharton School. Pichai joined the Wharton School of Business for his MBA, where he was named a Siebel Scholar and a Palmer Scholar. He graduated from Wharton in 2002, to join McKinsey & Company as a management consultant. Pichai realized that moving to Google would be a suitable career move, after trying to convince a McKinsey colleague to avoid that exact thing. Pichai joined Google on April Fools’ Day in 2004. Interestingly, it was the same day when Gmail was introduced to the world. Pichai joined Google as a soft-spoken manager, to work on Google’s search toolbar. The toolbar was made with a goal to give Internet Explorer and Firefox users an easy access to Google search. The toolbar’s success motivated Pichai to think of Google having its own web browser. Eric Schmidt, the then-CEO of Google, thought that it wasn’t worth the cost. However, Pichai had immense belief in the idea and ultimately convinced the founders of Google, Larry Page and Sergey Brin, to launch Google’s own web browser, called Google Chrome. 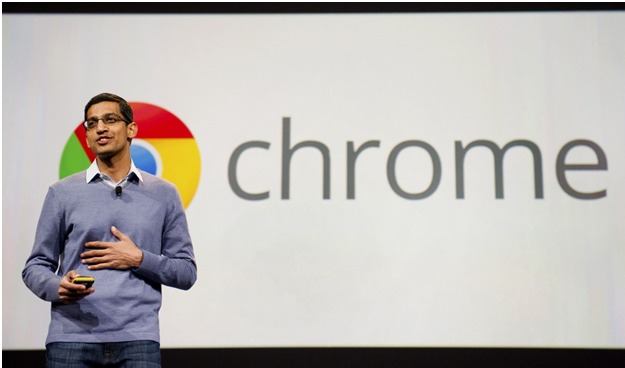 Pichai led the launch of Chrome that went on to become the best web browser in the world, surpassing both Internet Explorer and Firefox. This earned Pichai worldwide recognition in 2008, and he became the Vice President of product development at Google. From 2008 to 2013, Larry Page ensured that Pichai’s rise in Google was rapid. In 2011, Pichai was considered to head product development at Twitter, but he decided to stay with Google. In 2013, when Android creator Andy Rubin left for Google’s robotics project, Pichai was asked to take over Android too. Pichai led the rapid growth of Android’s app ecosystem. In 2014, Pichai almost became the third CEO of Microsoft, but Google managed to retain him. Named as Google’s CEO with the Birth of Alphabet Inc.
Pichai was not just a business savvy professional with great technical skills, but an excellent leader and diplomat too. 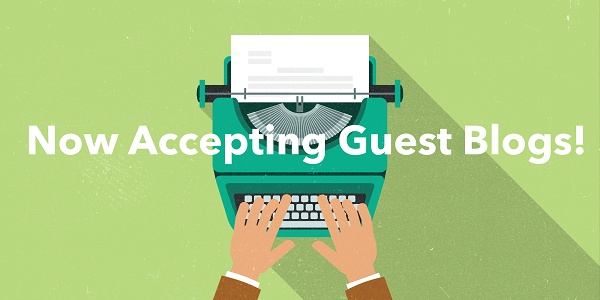 He is known for building strong teams, avoiding office politics, and respecting everyone’s opinion. When Google decided to form its parent company, Alphabet Inc., Sundar Pichai succeeded Larry Page as the CEO of Google. Pichai, the man behind Google Chrome, now heads all products at Google, including Ads, Android, Apps, Maps, Search and YouTube. Sundar Pichai’s story teaches us that we succeed in life because of our strengths and despite the hardships. We should make sure that we give ourselves the opportunity to work on our strengths and interests, before we expect others to start doing the same. Also, initially we might be faced with a lot of criticism for our original ideas, but that shouldn’t stop us from believing in them. And once we’re in a leadership role, every person’s perspective is as valuable as our own.